They were also barely out of their college dorm rooms. “Our mission is very big. We think this is a 100-year company." Seeing the image today is surreal. The salad chain now has 91 locations, and will this year grow that number past 100. Last month, Fast Company named Sweetgreen the sixth most innovative company in the world, ahead of the likes of Domino’s and Apple. In just under 12 years, Ru, Jammet, and Neman have gone from being unable to attach a menu board to a wall, to running a budding foodservice empire with a billion dollar valuation. They even mentor Gwyneth Paltrow from time to time. “Our mission is very big. We think this is a 100-year company. We believe we can scale fast food in a healthy way, and we are very aggressive in terms of how big we think we can get,” Ru said. It’s easy to laugh off such ambition. Currently, McDonald’s has more than 37,000 locations globally, leaving Sweetgreen with at least 36,900 restaurants’ worth of catching up to do — something Sweetgreen tends not to spend too much time worrying about. 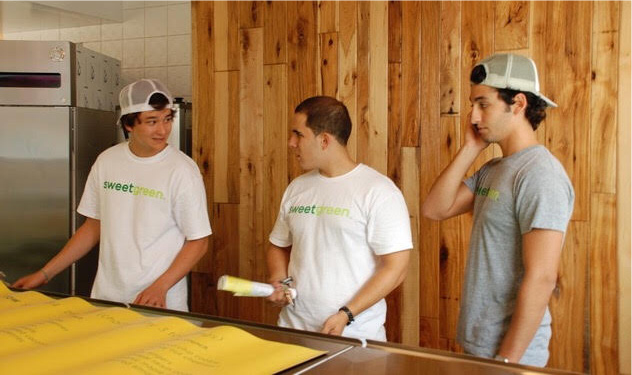 This mission-driven willingness to reinvent the wheel is the rocket fuel behind Sweetgreen’s trajectory so far. Focusing on what its leadership calls building “intimacy at scale,” the company is constantly finding ways to re-engineer every aspect of the operation, with the aim of better connecting with an evolving customer. In recent years, this has meant a complete shift in how they were managing the business. 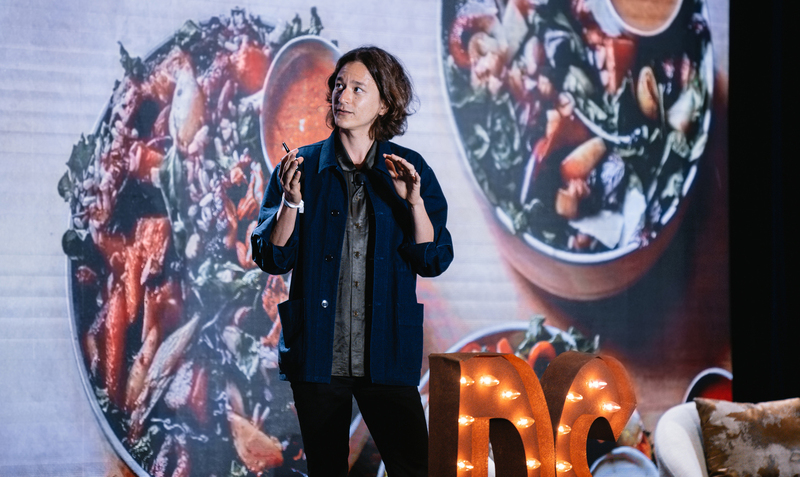 Rather than perpetuate this way of doing things, Sweetgreen adopted a customer-centric model of internal measurement, based on meaningful data analysis. This new framework involves monitoring how much customers spend over certain periods of time, as well as the frequency in which they interact with the brand over multiple channels, while also measuring satisfaction levels. The main way Sweetgreen has managed to keep ahead of this tech-driven disruption is by causing it. A recent example of this is the company’s direct-to-office ordering initiative, Outpost. First rolled out in a number of WeWork locations last September, close to 100 workplaces around the country have already opted in, with many more expected by the end of this year. Ru has previously stated Outpost will be a much larger channel than their restaurants one day — a statement he still stands by. However, few other restaurant chains are in this kind of advantageous position. Amazingly, at a time when most brands are struggling to deal with the complexities of third-party delivery, at Sweetgreen, mobile ordering represents 46 percent of sales. More remarkable still, most of those sales come through the company’s proprietary app, which was developed in-house in 2012. “It’s the fastest growing channel in our business. Mobile ordering is growing at 80 percent year-over-year for us, and it’s not slowing down,” Ru said. While these kind of achievements are sure to draw the envy of many legacy chains, Ru maintained none of it would have been possible, had they not first invested in properly modifying Sweetgreen locations. The overhaul saw the company install secondary make lines to handle increased output, with some new restaurants boasting as many as four of them. The ability to add modular shelving as needed in front-of-house was also planned for, enabling order-ahead customers to run in and grab their food as easy and as quickly as possible. While these kind of design considerations are now gradually becoming common practice among restaurant chains, Sweetgreen is also constantly devising less orthodox methods of enhancing back-of-house operations. One such example is an oven efficiency app that draws upon sales forecasting, weather, and inventory data to determine how much food will need to be cooked on any given day. Using an algorithm, the app informs specific staff members exactly when they need to roast a certain type of food. Coming up with inventive solutions to these kinds of questions not only keeps Sweetgreen ahead of the pack but forces the rest of the industry to discard the status quo. The way the company has utilized new technologies to garner the results it has so far provides a small glimpse at the success it’s capable of achieving well into the future. There’s simply no reference point for the mind-bending amount technology is going to morph the way people will live five, 10, or 50 years from now. But Sweetgreen knows that keeping ahead of the curve is the only way of ensuring they’ll have a shot at meeting customers on the other side of the momentous change to come. What its founders understand best is that running a restaurant brand in the not too distant future will need to mean far more than merely having restaurants on the ground. “When we think of the future, Sweetgreen will be a food brand, and how you can experience it will be in so many different ways. 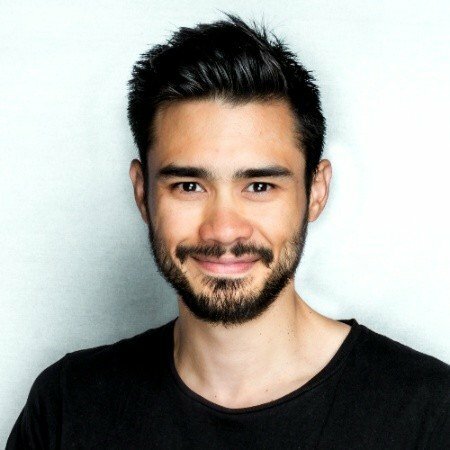 It doesn’t have to be a restaurant, it doesn’t have to be a delivery person at your doorstep, it can be something else,” Ru said. And “something else” might be just what customers want from the brands they choose to back. In this day and age, companies that insist on prioritizing the health of their bottom lines over the health of their mission, or the health of the customers they serve, cannot be guaranteed longevity. RestaurantSpaces 2020 will again bring together a unique mix of legacy brands and emerging players. Experience these valuable insights firsthand when we head to Los Angeles, March 1-3. Request an Invite here.